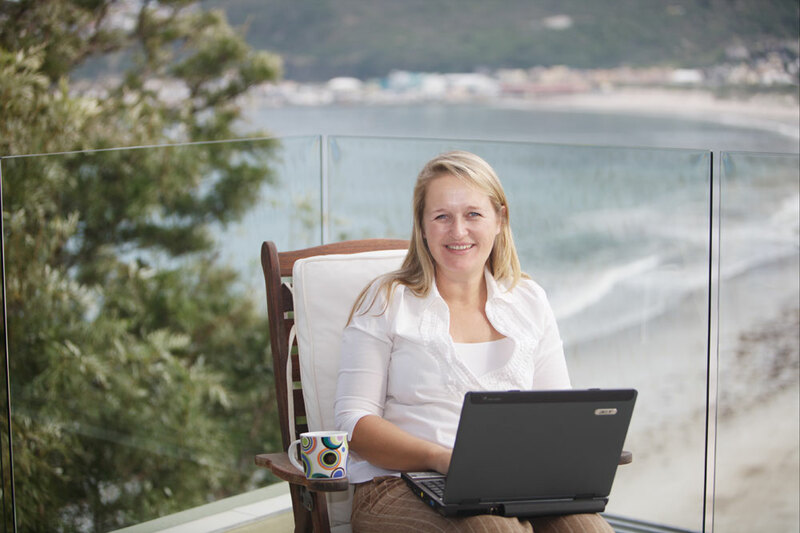 Our founder, Jessy Lipperts, moved from The Netherlands to South Africa in 2003 and totally fell in love with the country. Instead of returning to The Netherlands after a project of 5 months, she decided to stay in the country and finally follow her passion for travel. Since 2004 she has been organizing many travel arrangements for individuals, families, companies and NGOs. 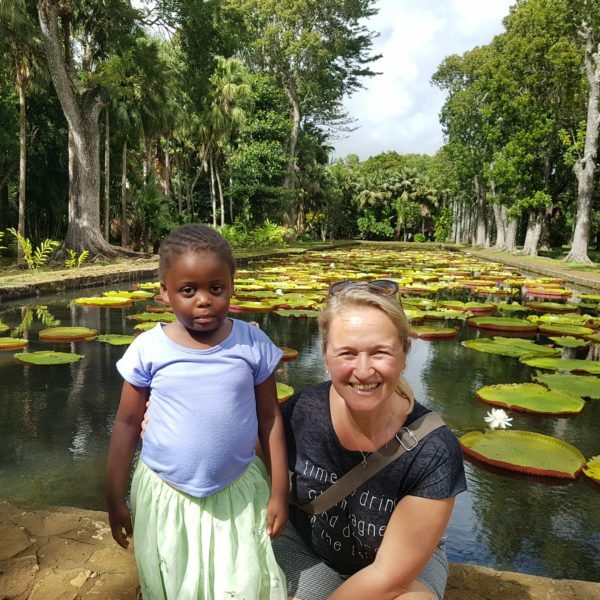 Jessy has traveled the routes extensively and visited and inspected all of the hotels, lodges and guesthouses that she suggests to her clients. At least 2x a year she will discover new places to add to her selection. Properties that adhere to sustainable practices, personal attention to detail and a typical sense for the wonderful South African hospitality are preferential. In 2007 she became an Accredited National Tourist Guide which allows her to guide and manage tours throughout the country in all the 9 provinces. In 2012 Jessy became the proud Mother of Rosie Grace when she adopted her. Extensive travel would be more of a challenge yet certainly not impossible. Rosie has already seen a lot of the country and has embarked on many road trips, (inter)national flights, boats and hiking trails. They truly are Planet Pilgrims. Jessy having visited 42 countries and Rosie already 6 in her short life.. and counting. Becoming a single mother has inspired Jessy to start organizing Solo Parent Adventures, adventures for solo traveling (grand)parents + (grand)child(ren). Click here to check out our upcoming adventures. Traveling together with other parents is much easier than trying to do it all on your own. Living and working in South Africa comes with a responsibility to be part of the change and bring a positive contribution to the country. Education is one of Jessy’s passions. South Africa has one of the worse education systems in the world with 80% of all schools under performing and under resourced. 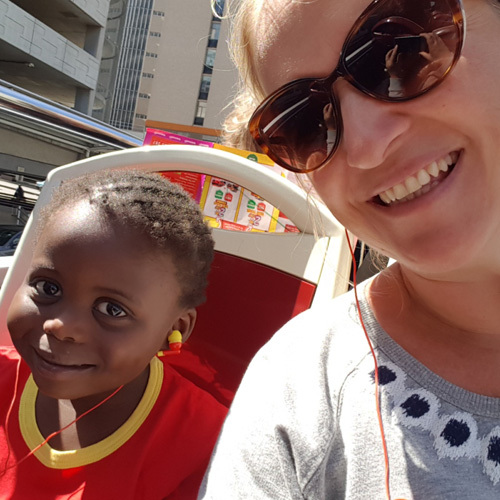 In 2017 Jessy became a business Partner for Possibility (www.pfp4sa.org) This way she helps transform the South African education system by being a sparring partner for School Principals. Jessy also has a heart for the homeless in Cape Town and together with a bunch of friends, they feed about 100 homeless people each Saturday morning in their area. By giving soup, love, hope and someone to talk to they want to help homeless people off the street into a warm and safe place and find a job. Follow HopeStreet on Facebook for updates on the organization. Thank you so much for taking such good care of our clients during the World Cup, it was unforgettable. Our trip was, like you say, extraordinary, everything what we expected and even more. We had a great trip to Cape Town and the wine lands, thank you for your great enthusiasm. Everything was wonderful! Thank you so much.